Scrap Cleaner - Deletes your Scrap as your bags get full. 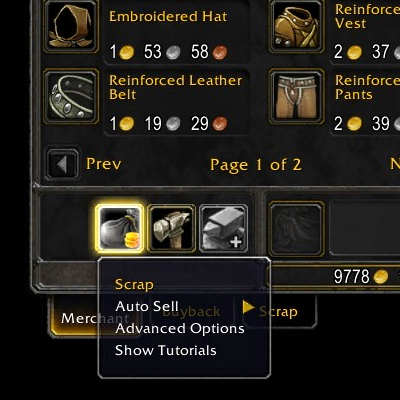 Scrap ElvUI - Skins the entire Scrap interface to match ElvUI's theme. Please consider supporting Scrap by becoming a patron or submitting a donation.